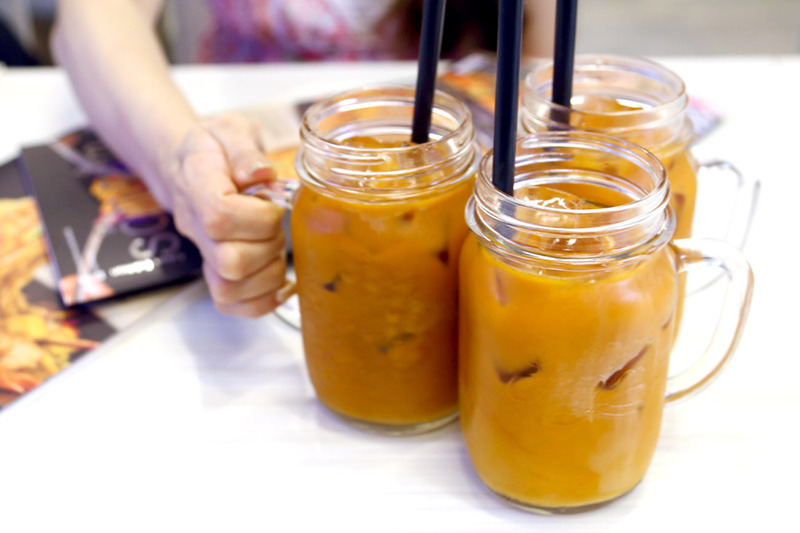 There are a few different types of Thai restaurants in Singapore – the authentic, the mass-market, the upmarket, the Chinese-style, the cheap and affordable, the middle ground … and Som Tam which attempts to be the Thai modern fusion. ‘Fusion’ though, may not be the best word to describe its food. 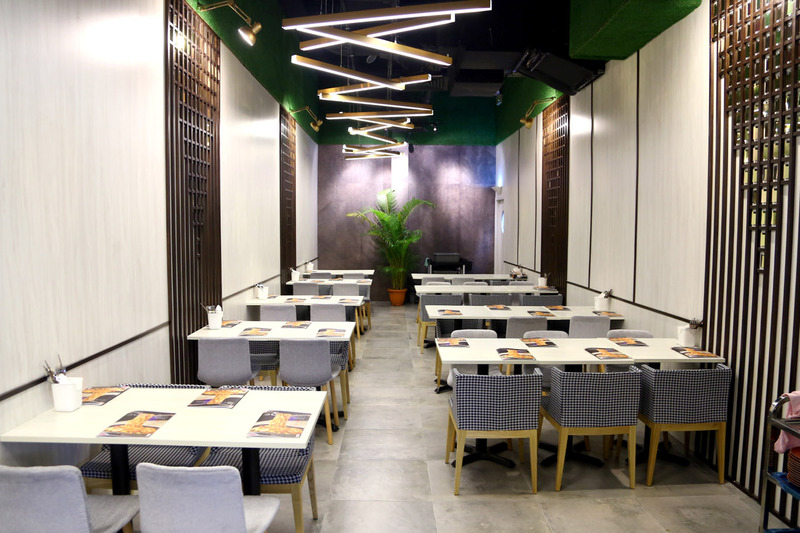 Located at Level 8 of Orchard Central, the Thai restaurant is visibly out of plain sight, behind popular Japanese buffet restaurant Kiseki. 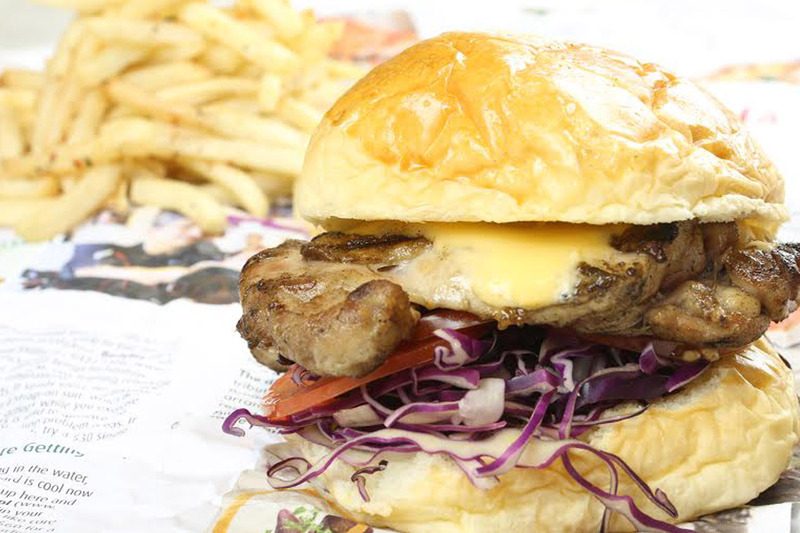 The restaurant is opened by the same team behind Gin Khao at East Coast Parkway. A quick flip of its menu would reveal varied offering, some seemed catering to a younger customer base – Deep Fried Wings with Tom Yum Seasoning ($9.80), Not So Complicated Noodles ($9.80, said to be a less messy version of the popular Bangkok dish), Salmon Tataki ($11.80), Tiger Tear Salad ($10.80, ribeye in green and hot sauce), Tom Yum Koong Burger ($13.80), and Som Tam Style Carbonara Pasta ($13.80). It is not uncommon to see the following appearing here and there on its rice, noodles and random dishes – “tom yum”, “som tam”, “green curry” and “TRUFFLE OIL”. These are just some of the items. The menu is so wide-ranging, it feels like a cha chaan teng but Thai version. Some words that my friends used to describe the dining experience, “average”, “interesting”, “not bad if you have no expectations” and “okay loh”. I think they were perhaps more picky than I am. I liked one or two of the offerings. 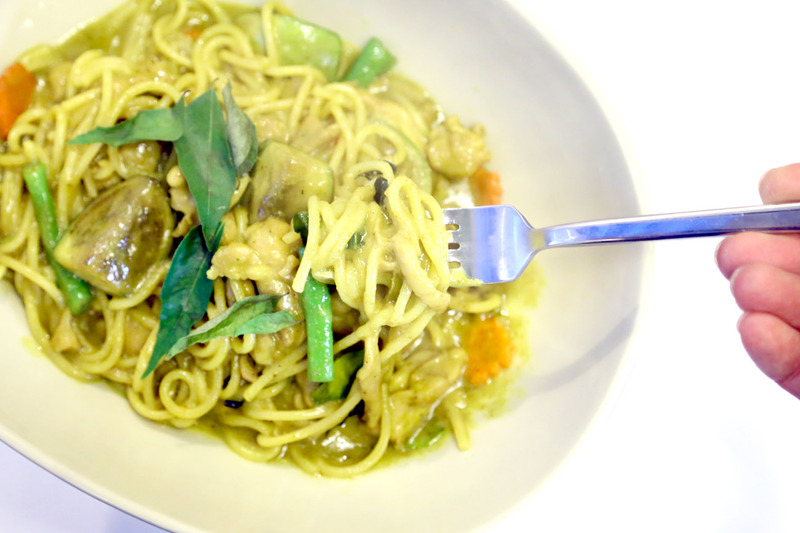 The Green Curry Chicken Pasta ($14.80) is one of those Thai café dishes I would always order in Bangkok, and Som Tam did theirs reasonably well – spicy, thick gravy, not stingy on ingredients. Pasta could be a notch more al dente. It didn’t seem right if we didn’t order a starter of Som Tam, the namesake. 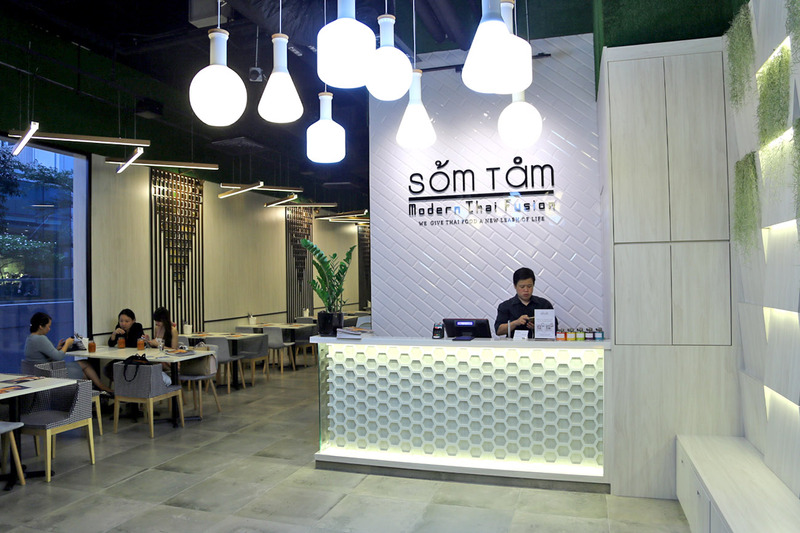 Som means ‘sour’ while tam means ‘pounded’, generally referring to Thai green papaya salad. 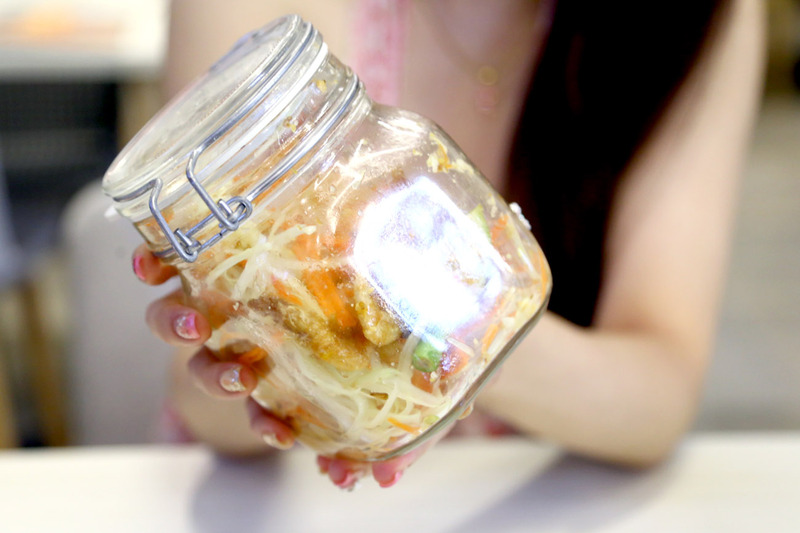 The salad ($6.80) came with a choice of topping (additional $1-2) of salted egg, dried shrimp, Thai chicken sausage, or deep fried sweet prawn, served in a gimmicky looking container for shaking. 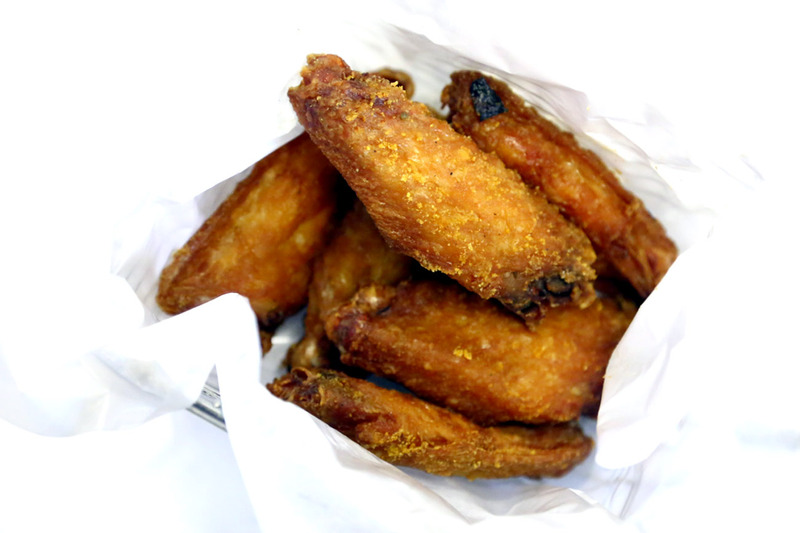 It scored in terms of spiciness and sweetness, though could be sourer to whet up the appetite. Verdict. 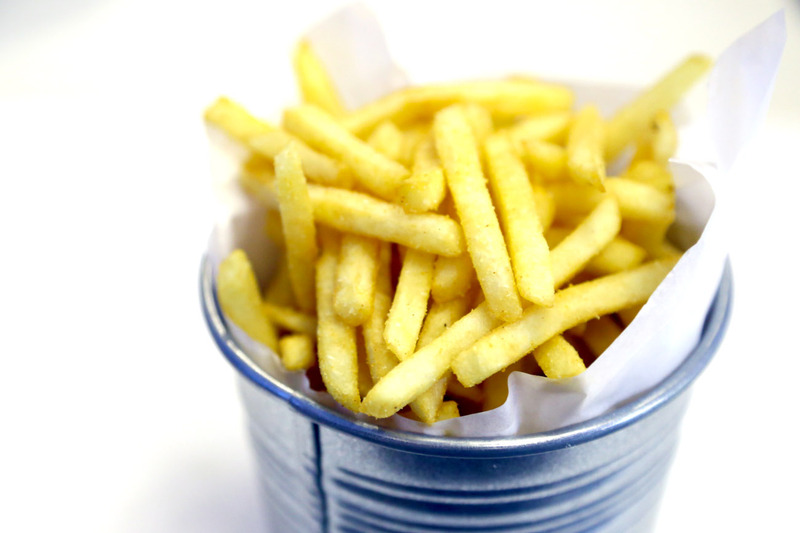 Like fries with salty tom yum power, while the truffle went missing. There were divided opinions on the ‘After You’ Toast ($8.80). I was at least not for the use of this name, and frequent visitors to Bangkok would be aware of the tremenously popular After You Desserts. Barring potential copyright issues, the style and taste are completely different. 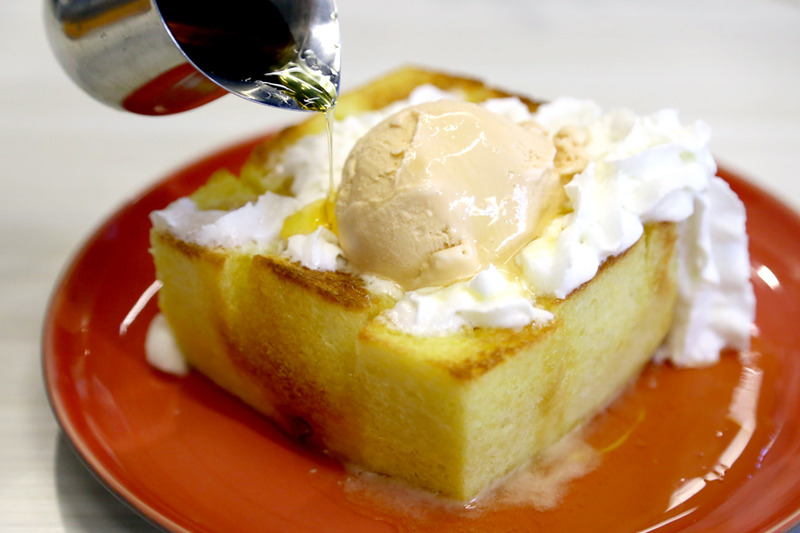 Som Tam used a fluffier soft airy toast, topped with a gelato with flavour of green curry, Thai Tea, Sticky Rice or Thai Basil with Choco Chip, and had a good spread of butter. But still miles apart when compared to the original ‘After You’ in its presentation and taste factors. This is actually good opportunity to brand their own toast and make it their own. ← Haru Haru – Tendon and Chirashi Don So Satisfying, Found At AMK Jubilee Square!